Published June 3rd on Cincinnati.com. Featured on Page 5A on Sunday, June 5th printed edition of Cincinnati Enquirer. Growing up in Fairfield, Corey Foister didn’t idolize former presidents Bill Clinton or John F. Kennedy. He worshiped comedians Richard Pryor and George Carlin. His parents never talked about politics. They didn’t even vote. But that didn’t stop Corey Foister from becoming so obsessed he started his own political website when he was a teenager. It was 10:50 p.m. some weeknight in 2004. Foister was watching Comedy Central when “The Daily Show” came on. At that time, he had such little interest in them he almost changed the channel. Then Jon Stewart did his impression of former President George W. Bush. More than a decade later, sitting in The Enquirer’s office Downtown, Foister remembers it perfectly. He instinctively hunches over and brings his hands out in front of him. He laughs, mimicking Stewart’s insulting snicker that sounds more like a rat than Bush. Foister was hooked. And he’s not ashamed to admit Stewart is the one who sparked his interest. Now 26, Foister is running for Congress. He hopes to replace former House Speaker John Boehner (R-West Chester Twp. ), who represented Ohio’s 8th District for more than two decades. The fact that Foister is a Democrat running in one of Ohio’s most conservative districts is not the most unlikely part of his story. 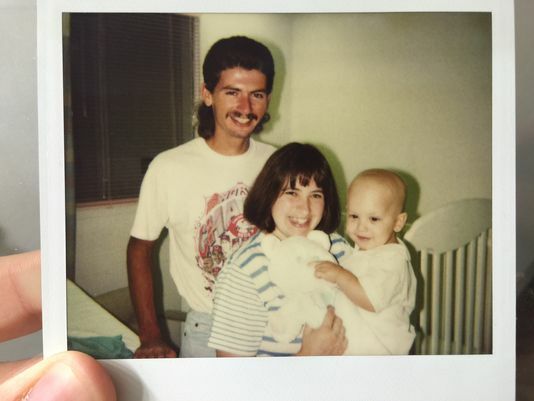 Foister was diagnosed with neuroblastoma cancer days before he turned seven months old. This is the same cancer Leah Still was diagnosed with. With what Foister’s mom described as a stomach full of cancer, doctors gave him a 50 percent chance to live. 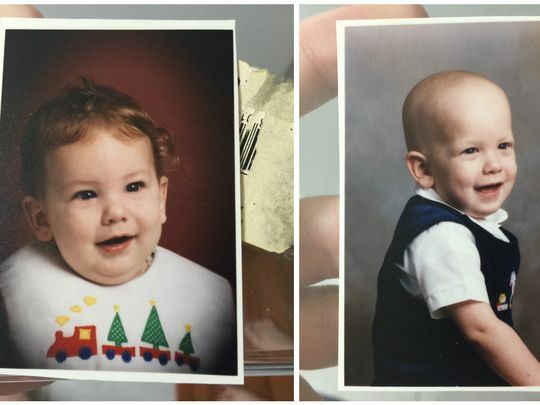 He soon went from a baby with a full head of hair to one his parents’ friends couldn’t recognize when they visited. Foister was too young to remember much. But he remembers the pain — from chemotherapy to bone marrow tests to something as simple as getting his finger pricked hundreds of times. On the left is Corey Foister before he was diagnosed with cancer. On the right is Foister after he was declared cancer-free. He uses his hand to draw a line across his chest. It’s the large scar left from surgery where doctors removed his left adrenal gland — and most of the cancer. Doctors declared him cancer-free when he was around 18 months old. “I have to do something big,” he promised himself later. But he hasn’t always lived up to that promise. The scar and other side effects from chemotherapy left him battling self-esteem issues. In school, he was quiet and shy. At times, he struggled with his weight and often floundered in gym class. As he started to campaign, Foister told a former teacher it surprised him when other staff at Fairfield High School remembered him. If they remembered him at all, he joked, it would be for how quiet he used to be as a student. Not someone running for office. Judy O’Connor, a former intervention specialist at Fairfield schools, worked with Foister from elementary school until he graduated from high school. Foister lost some of his hearing because of chemotherapy treatments. It’s relatively minor, but he wore hearing aids until high school and still has trouble hearing higher pitches, O’Connor said. He took speech therapy as a young child. Foister was the student who did not want to be called on in class. He often confused word tenses when speaking because he couldn’t hear “ed,” “ly” or “ing” endings. He could barely write a complete sentence in fifth grade, O’Connor said. But he wanted to write about politics. So he figured it out. Then he bought a book, “Domain Names for Dummies,” to help him start his website politicalhead.com, which has now become nextgenerationamerica.com. “He fully commits himself to whatever it is he is interested in,” said O’Connor. She remembers walking past political maps on the high school walls with Foister. The quiet student would open up and talk her ear off, explaining which senators are from what states. Once he got going, O’Connor struggled to derail him and get him back to class. 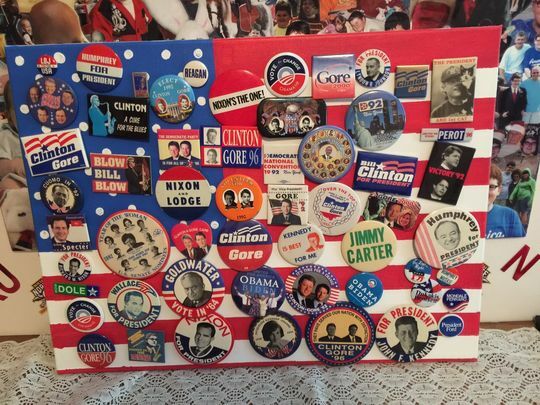 A number of political pins Corey Foister collected as a child. Foister stopped wearing hearing aids in high school because he feared he would be pushed into a trade school. He was determined to go to a four-year university. Foister became the first person in his family to graduate from college, receiving a degree in political science at Northern Kentucky University in 2014. His opponent for Boehner’s seat is Republican Warren Davidson, of Concord Township, whom The Enquirer previously profiled. Davidson has the backing of the high-powered Club for Growth PAC based in Washington, D.C. But in many ways, Foister has already won. And that won’t change no matter the result on Tuesday. That’s how David Pepper, chairman of Ohio’s Democratic Party, sees it. Because of Boehner’s unexpected retirement, Foister and Davidson will compete in a special election June 7 and then again in a general election in November. Also running is Green Party candidate Jim Condit, Jr., who is not eligible to run in November. The 8th District, made up of Butler, Preble, Clark, Miami, Darke and Mercer counties, is one of the most Republican districts in the state. The district has been manipulated, Pepper said, to discourage people like Foister from running. And without the exposure and national relevance Boehner brought as a rival, this race is even less attractive for Democrats than before. In 2000, a then-unknown John Cranley ran for Congress against incumbent Steve Chabot. Cranley was about the same age as Foister. He lost. Now he is the mayor of Cincinnati. Pepper got involved in politics because of Cranley’s campaign, and Cranley’s success — even in defeat — encouraged him to run for office. Pepper says Cranley is a “special guy” but could see Foister following a similar path. When Foister told his mom he was going to run, she too was surprised. She teased him at first, asking if her home would get toilet-papered because of his party affiliation.